I have come across an esoteric site mostly providing facts that are Kaballistic in nature. And there were Angels and the Archangels photos displayed. So what do we know about angels? 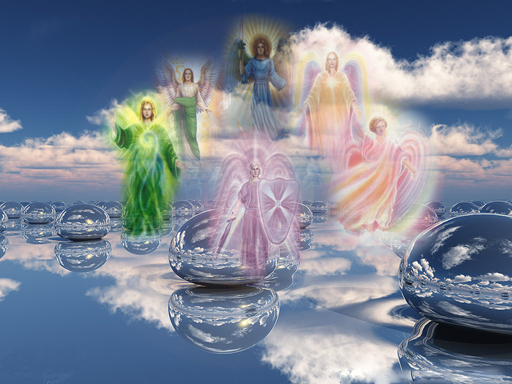 Angels are found in almost all variety of religions and are regarded as spiritual beings (Christianity, Judaism, Islam, Zoroastrianish, Sikhism, etc...) The theological study of angels is known as angelology. The term "angel" has also been expanded to various notions of spiritual beings found in many other religious traditions. The month in which you where born has bestowed you with an important Angelic relationship. 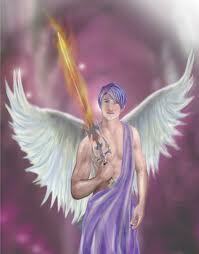 This is your Sun Sign Archangel. Together with your Moon Sign forms the foundation of your Angelic relationship to your Archangels. So how do you determine your personal archangel? Follow steps below. The Archangels Cassiel and Uriel are a class of Teaching Angels know also as the "Angels of Men" and will help students who have other Astrological signs different from those of Aquarius and Capricorn. This additional assistance is a little too complicated to enter into here, as factor involving your Moon Angel and his Astrological Sign need to be considered.